Being mom of two boys, I am concern mom of my children's health. Glad to take time off to attend the Nippon Paint's event. Do you know that 20% of Malaysian children suffer from stress and anxiety due to stifling of play? This source based on independent studies. allowing parents the ease of mind for their children to express creativity because stains can be easily cleaned. Babies and children spend more time indoors and breathe up to three times as much air compared to adults (due to their developing respiratory system), making them the likeliest victims of formaldehyde. Fact based on American Academy of Family Physicians. More than two thirds of parents agree the wall can be a medium for the spreading of viruses & bacteria. Above is based on independent studies. Established in 1967 as Nippon Paint (Malaysia) Sdn. Bhd., the company has since grown in leaps and bounds, and today, has emerged as a significant regional player within the coatings industry with presence in countries such as Pakistan, the Philippines, Bangladesh, Thailand, Iran and Indonesia. The NPM Group places strong emphasis in Research and Development (R&D) activities, which remains a core priority to its success in product innovation. As a global leader in coating technologies with a database of more than 10,000 paint formulations, the NPM Group prides itself in being a Total Coating Solutions provider with a multi-segment portfolio of offerings ranging from Architectural, Automotive, Industrial, Protective to Marine coatings. The Group has won consumer choice awards such as the Reader’s Digest Trusted Brand Awards (2006-2017) and Putra Brand Awards (2010-2016), as well as received industry accolades such as the Best Company for Leadership in Paint Technology Asia by IAIR in 2014 and Frost & Sullivan’s Paint & Coatings Company of The Year in 2011, the Paint Company of the Year 2016 and New Product Innovation Leadership Award 2016. In its concerted effort to champion sustainability towards a greener footprint, the Group has received the Green Label Certification (by the Singapore Environment Council), EcoLabelling Certification Licence (by SIRIM QAS International) and several Green Excellence Awards by Frost & Sullivan. 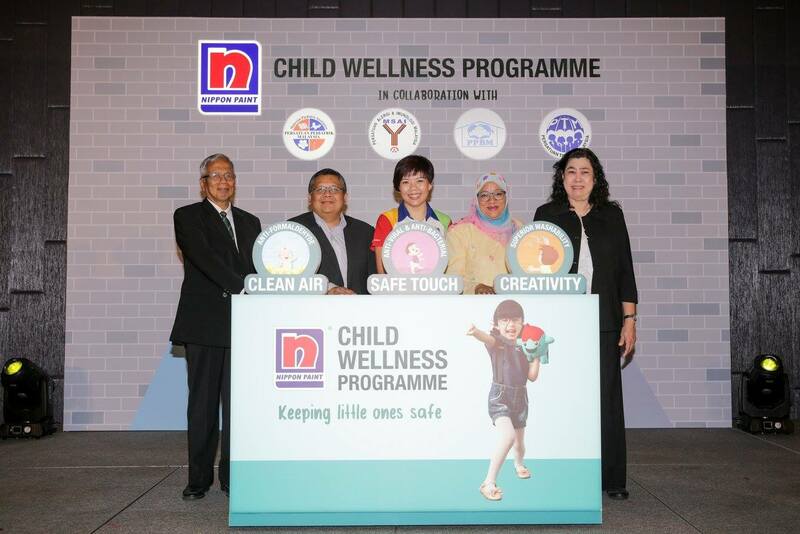 It's great to know about this and the children wellness programme too. Kudos to the Nippon Team.